As Earth turned and tilted toward its longest day of sunlight, I had a cobra hoe in hand. All that long day, for at least 14 hours, I stirred and fed the Earth’s soil life. I pulled and mowed down weeds in long foot paths across our biggest vegetable crop field. I tidied up the long lines of bean, squash, radish and sweet corn varieties. I tucked all that green organic matter in mulch of millet straw, baled from the same field last year. In the moonlight afterward, I sat down in the dark on the porch of our farmhouse. Suddenly, I felt powerfully a part of Earth’s cycle. In the quiet countryside, I felt so at peace. I felt tremendously grateful that I‘d been able to spend that entire day in that field, serving Nature. My energy – not fossil fuel; my energy – not chemical herbicides and poisons; my energy mineralized the soil, fed microbial life. Your energy was there, too. 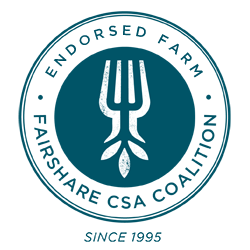 From however you earn your food dollars, you helped pay the many vegetable production costs of that field. Gratitude I felt at that moment was to you, too. Often in an uncertain, unstable human world, I wonder about my choices down unknown paths. Aging gives it all an especially strong sense of frailty and susceptibility to mistake. Missteps in the dark are so painful. Values call out in the darkness. In moments of clarity, what we value that does no harm, that sustains the good Earth, lights our way. In what we feed and are fed sustainably, there’s no uneasiness, no regret, no stress. Father’s Day, Dela made me a delicious lasagna. As in so many meals here, almost every ingredient was local. Ground meat produced from our livestock by a family butcher in New Glarus. Cheese Dela prepared from our goat milk. Other cheeses purchased from a local creamery (thus, from local farmers, too). Tomato sauce from Dela’s canning of our own varieties last fall. To go with the meal, Dela sautéed snow peas and garlic scapes from the garden. A dear couple from the Madison area helped harvest the peas with their children. Together, we picked nearly 100 lbs. in a single day! I savored that family’s contribution to our farm as I enjoyed the Father’s Day meal. I valued each connection of this meal to our farm and farming community as dearly as Dela’s act of love in preparing the food. Yet another woman came to mind, as Dela and I ate this meal together Sunday. She’s a neighbor, who sold us an essential ingredient to the lasagna. Just the day previous, we ended our weeding, mulching and harvesting early and drove to the Amish dry goods store about 3 miles from our farmstead. We needed whole wheat noodles. We found Fanny Detweiler working alone in the store she continues to operate despite her husband Lester’s death last year. She was using the time to measure out bulk ingredients into smaller packages for sale. Alone in that late hour of day, she did not seem at all lonely. This woman’s community – her children, grandchildren and neighbors – are all around her, sustaining her with meaningful work throughout her life. It’s a much more visible community than many of us in America enjoy. More than 25 percent of the letters I send out to past subscribers come back “Undeliverable as Addressed. Transitory living, transitory eating, with powerful mobility – we’re urged to value this in America. It’s difficult not to feel or fear this is what we have most in common – a great moving about in search of security. Work of our hands together, in Community Supported Agriculture, urges something different. We live it, value it joyfully and at peace in our fields and your homes.